Need to BUY, SELL, or LEASE - call Sacia! First Time Buyers, Residents, Seniors, Investors, Professionals, Luxury Home Sales, Commercial, Land, you name it! Sacia has always been described as a go-getter! She started her Real Estate Career full speed ahead in 1999. 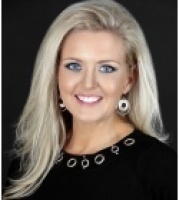 In 2002, she became an EXECUTIVE with the International Real Estate Group, Realty Executives and in 2011 became the Owner/Broker for the Central MS area. Sacia has been a Top Sales Producer and Multi-Million Dollar producer since 2001. From Realty Executives International, she has also received the Executive Award, 100% Club Award, and the Chairman's Award several times. Sacia has a wonderful husband, three sweet daughters and a son that keep life interesting outside of real estate. She is very much a family person and actively involved with the LDS Church and the youth program. Sacia is hardworking, trustworthy, and will get the job done when others would have given up. You can depend on her and her team for quality, reliable advice and service. After the very quick sales of many homes, the word on the street was "Don't call Sacia unless you are ready to pack!" You want a worker, you got one! Call Sacia today and Start Packing! Hi Sacia, I just came across your profile on memberagents.com. I'm interested in purchasing a home in your area and would like to talk to you about possibly helping me find a nice home to purchase. Please let me know if you're available to help out. Thanks!